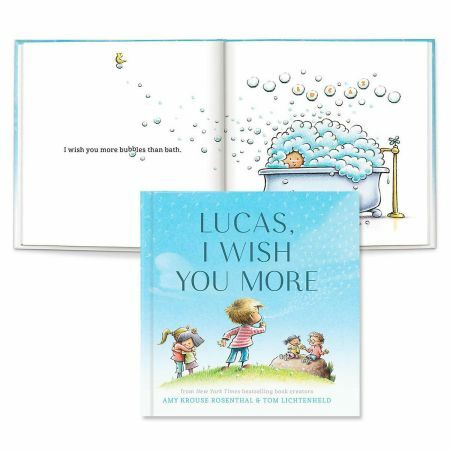 In this personalized edition of their NY Times best seller, Amy Krouse Rosenthal and Tom Lichtenheld have combined their extraordinary talents to create an exuberant story of endless good wishes. To personalize this story, add your loved one's name and create a one-of-a-kind gift for celebrating life's joyous milestones, sharing words of encouragement, or observing the wonder of everyday moments whatever your age. 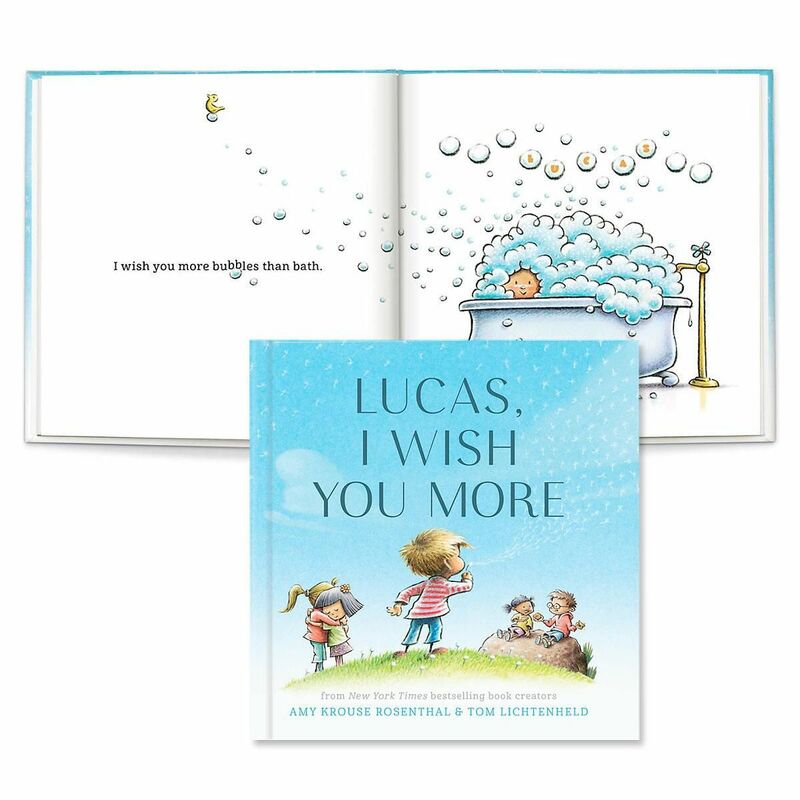 The perfect present for birthday, graduation day, or wedding day, this 9” x 9", 36-page hardcover book is perfect for wishers of every age. Made in the USA. Specify first and last name, up to 15 characters. Shipped directly from the manufacturer. Standard shipping only. Expedited shipping not available. Allow 4-6 weeks for delivery unless otherwise noted. Cannot be sent outside the 48 contiguous states, or to P.O. Box, APO/FPO, or foreign addresses.